Join Kay Ottinger, Pilates Instructor, and Christina Vega, wine consultant, for a weekend getaway in the Catskills. Kay will lead us through a diverse range of classes, beginning with a class on muscle release techniques as a way to unwind after our travels from the city. Take a breath of fresh air this summer, June 29th – July 1st, with Heather Seagraves at Heathen Hill Yoga. Come relax, rejuvenate, and play through asana, breath awareness and meditation. Jenny strives to create smart sequencing within the aligned vinyasa style – in each class preparing the body for what’s to come as the practice progresses. She is a student of Rodney Yee and completed her 500-hour training with Natasha Rizopoulis. 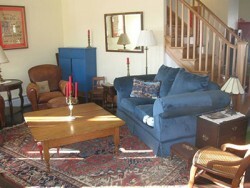 Join Gina for a weekend retreat at Heathen Hill. Morning vinyasa class, afternoon restorative and yin yoga plus hiking, swimming,time in nature, home cooked meals, soaks in the hot tub and time to just relax…..
Aug. 24 – 26 – Yoga. Wine. Feelin’ Fine. Retreat! We are SO excited to whisk our wine-loving yogis away once again to this beautiful organic farm in the Catskills for our 2nd annual Yoga Wine Party retreat! 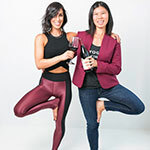 Join friendly yoga teacher Dina Ivas and certified wine expert Liz Howng for a fun weekend of serenity in nature. Join Ellen Kaplow from Satsang Yoga as we come together to synchronize our soul and spirit on “the Hill”. As the summer draws to its close, you’ll enjoy fulfilling practices, delicious food, great company while being surrounded by the beauty and simplicity of Heathen Hill. Join me for some fresh air and spaciousness in the stunning Catskill Mountains. And YOGA! Yes of course, Iyengar Yoga! I will teach four well-rounded asana and restorative classes, appropriate for all levels.